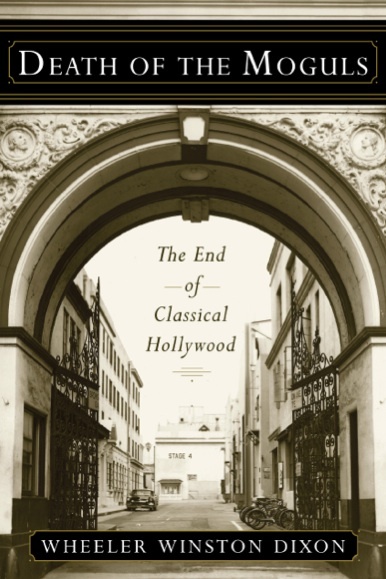 Wheeler Winston Dixon talks about how he went about researching his latest book, Death of the Moguls: The End of Classical Hollywood, which Rutgers University Press released in August 2012. Dixon is a prolific film historian based at the University of Nebraska at Lincoln. Among his many books are 21st Century Hollywood: Movies in the Era of Transformation (with Gwendolyn Audrey Foster), A History of Horror, and Film Noir and the Cinema of Paranoia (all Rutgers University Press) – he mentions others in the interview, below. In Death of the Moguls, he explains what happened when leaders of Hollywood studios during the “golden era” of the 1930s to 1950s faced obstacles they had not foreseen, and could barely countenance – dying, for example. Dixon describes the final years of the studio system and assesses the last days of the “rulers of film” – moguls like Harry Cohn at Columbia, Louis B. Mayer at MGM, Jack L. Warner at Warner Brothers, Adolph Zukor at Paramount, and Herbert J. Yates at Republic. Dixon asserts that because those figures made the studios through the sheer force of their personalities and business acumen, their deaths or departures hastened the studios’ collapse. Why? Because almost none of them cultivated leaders to succeed them. Dixon explains why, below. Dixon introduces many studios and their bosses of the late 1940s, just before the studios collapsed, and describes their last productions as they headed towards their demise in the late 1950s and early 1960s. 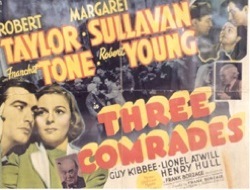 He details such game-changing factors as the de Havilland decision, which made actors free agents; the Consent Decree, which forced the studios to get rid of their theaters and slash their payrolls; how the moguls dealt with their collapsing empires in the television era – by shifting to 3D, color, and CinemaScope; and the end of the conventional studio assembly line, where producers had rosters of directors, writers, and actors under their command. In his “lucid and penetrating account,” as film scholar Steven Shaviro of Wayne State University puts it, Dixon also describes what came next: the switch to television production and some distribution of independent film. What, in general, was your aim, with this book? What I was trying to do, and what I don’t think anybody had done before, was to accurately depict what happened when the moguls who had built the film studios in the 30s, 40s, and 50s died or left the companies and the companies became conglomerates or whatever. But in most cases they died and pretty much left themselves intestate. They couldn’t imagine a world in which they didn’t exist. They just couldn’t see a world beyond them. I think of Harry Cohn, particularly. In his last days, his brother died whom he hated; but when his brother died he was heartbroken, nevertheless. Cohn beat throat cancer but then they told him he had a heart condition. Through his connections he got miles and miles of footage of open-heart surgery and ran it in his private projection room; but he couldn’t bring himself to face the operation. None of these people thought that they were mortal. They all thought they were immortal. So, the main thing I wanted to do with the book was to try to give a sense of how these people built up these empires of images – phantom empires – where in all cases they started as nonunion shops and in all cases they ended as union shops. 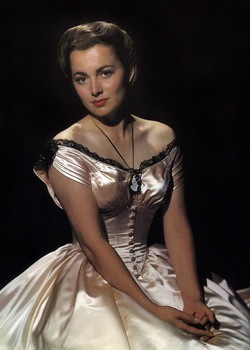 Olivia de Havilland in "Santa Fe Trail," 1940. 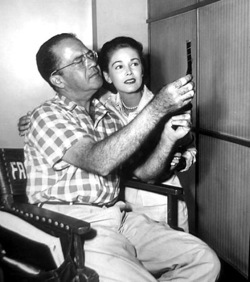 Of course, the major events that brought about the collapse of the studio system were the de Havilland decision [1944; a California ruling that prevents a studio from enforcing an exclusive personal-services contract beyond the term of seven calendar years from the commencement of service, including suspensions of work, which of course she won]; the Consent Decree [1948; forced the studios to get rid of their theaters and slash their payrolls]; and television. You have three different factors just hitting it like a whammy. It’s interesting and somewhat sad to note that the movie studios that once were these mythical kingdoms, the big ones, now they’re just more or less ancillary arms of the large conglomerates for whom they produce television and theatrical programming. There’s been a lot of debate – which I don’t agree with – about what was the golden age of Hollywood. I think that Hollywood’s most dominant era was obviously the 30s, 40s, 50s, and then by the 60s it was falling apart and by the late 60s everybody was selling out and it was falling apart and that’s it. Some people want to take it later, but I don’t think so. 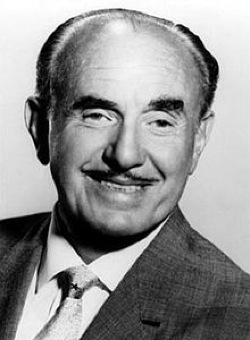 I also think of one other thing: that Jack Warner, when the whole studio system collapsed on him, he tried to re-create the whole thing all over again with television, making the television programs on an assembly-line basis, recycling scripts, as he did. He was very famous for saying great pictures aren’t made, they’re remade. He would just recycle scripts and he admitted this on the witness stand, during a writers strike, effectively shooting himself in the foot, saying we didn’t know what to do without writers. And eventually everybody rebelled against that. But in the 50s and 60s he was paying his television players 150 bucks a week. When you look at what people are commanding now, of course they had to rebel. So he tried to start the whole thing up again, saying ‘Okay, so television is the new medium and if it worked for movies I’ll do it again for television, and if they’re unionized, okay fine, but still I can keep them in line.’ That didn’t work. Are the records for all of this history well kept? They’re not well kept, at all. And indeed the studios would really like to obliterate a lot of this history because it brings to light a lot of inconvenient truths. For example, a long, long time ago I wrote a book called The Cinematic Vision of F. Scott Fitzgerald – it was my first book – about Fitzgerald working at MGM in Hollywood. At that point MGM was still at 10202 West Washington Boulevard; I visited there – this was in 1984 – and asked to see the morgue file and since everything was predigital, they just brought everything out including yellow pads that he had handwritten scripts on. I located in this pile the ending for his screenplay ‘Infidelity’ which was shot down because of course infidelity couldn’t even be treated under the Breen Code. But when MGM moved, everything got thrown out. This is the problem: that Hollywood has always had no sense of its own past or the importance of its own past and they only enshrine box-office mainstream hits, and even that they don’t do very well. Hollywood has always had no sense of its own past or the importance of its own past and they only enshrine box-office mainstream hits, and even that they don’t do very well. The first time I visited the BFI I was struck, in the screening facilities, that they had huge stills blown up on the wall, but they were mostly from American films. We don’t save our films. The AFI is really nothing compared to the BFI or the Cinémathèque Francaise, but of course for documents, the Margaret Herrick Library at the Academy of Motion Picture Arts and Sciences is the best American source. They have an incredible collection; basically, they’ve taken all the studio archives, taken all the newspapers, and they have an aggressive group of librarians who are really tops in their fields who have cross-indexed all this stuff, digitized it, and kept it. But I remember talking to someone at Columbia when I was trying to do an earlier book about Fred F. Sears, the 50s contract director. I was told quite frankly that Columbia had thrown out all of their scripts, all of their documents, all of their materials from that period. So I had to rely a lot on oral history, speaking to people who worked during that period – directors, writers, producers, mostly retired. To find out the truth of the matter was very difficult because there are so many conflicting accounts. It became a very difficult book to write because I would write a draft of a chapter, but then new material would come up. I was just ordering masses of Xeroxes, hiring researchers left and right because here I am in Nebraska and it’s cheaper just to hire somebody to do it. And they would just say: ‘Do you know this, do you know this, do you know this?’ and the next thing you know, I’m rewriting the entire chapter. So it’s really a lot more labor intensive than I expected. 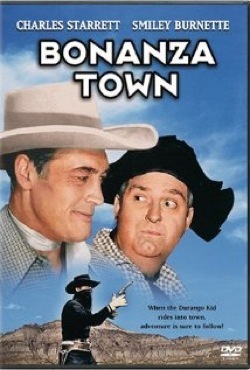 Film poster of Fred F. Sears' 1951 film, "Bonanza Town"
Given that sorry record I’m impressed that you have continued to do this work. How have you persisted? I think I’ve figured a way. That’s of course for others to judge, but there are enough survivors, although there are fewer every year, and there are enough original documents, and there are enough materials that I was able to really get a sense, I believe, of what was going on. As to why I do it, it’s because Hollywood history, particularly from the 1950s and 60s, but the 50s particularly, fascinates me. I did a book earlier on called Lost in the 50s , which is about television and movie production in the 1950s. A lot of that material wound up in Death of the Moguls, too. I talked to lots of producers, directors, writers, because of course that was the blacklist era, and it’s really important that this stuff be known and that people understand what happened then. It’s very different from the way they make movies today. Then, they would get a script, they would cast it, everything was in-house; they’d make the film and put it out. But by the end of the 50s they were having to do package deals where the star, director, scriptwriters, and agents rose in power with things like Winchester 73 where Jimmy Stewart got 50 percent of the net of the film instead of a salary. 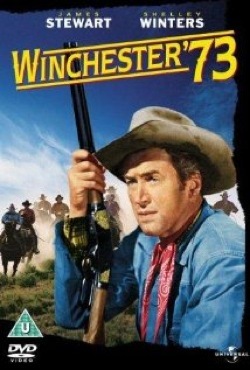 Winchester 73 was one of the major turning points in 50s Hollywood. Lou Wasserman engineered that deal for Music Corporation of America as it was then known. Universal wanted Stewart to do Harvey, a movie of the stageplay Harvey with Elwood P. Dowd, an alcoholic with a seven-foot imaginary rabbit. It was a big hit on Broadway so they wanted him very badly for that, so Lou Wasserman engineered a deal saying, ‘Okay, if you want him for that, pay him a straight salary to do Harvey, but over here we want you to do this little western directed by Anthony Mann. It’s just a western and he’ll do it for nothing, but you give him 50% of the net.’ They said, ‘Oh, a crummy little Western, who cares?” and they struck the deal. That was the beginning of when actors began to become corporations, themselves: Humphrey Bogart forming the Santana Corporation, jumping ship from Warner Bros. to Columbia. He made only one great film there and that’s of course In a Lonely Place by Nicholas Ray. But it’s a time of shadows. I think it’s been underexplored, frankly. There are lots of books about the 30s and 40s but the 50s…? I’m also very interested in work at the margins. There are films like The Garment Jungle that are really about labor issues, very hard-hitting stuff. It’s very important because a lot of it is being recycled now but a lot of people don’t know the original source. You mentioned the Herrick Library. Where else were you able to go? The UCLA Library – I hired a researcher to work there. The BFI is always very helpful with material. And then other than that the personal archives of the various directors and writers. I would interview them or give them my FedEx number and they would send me their scrapbooks, because I have a reputation of being reliable. With the scrapbooks, I would Xerox it all and just send it all back. I could then go through and use that material and then source that, and then that would lead to other things, and also I have friends within the industry who would do research for me, too. It’s telling that people who worked in the industry still have that material, isn’t it? Presumably these are people who are very old, at this point. It seems now that our collective memory is falling away completely. It’s what is right there, right now, that is grabbing people’s attention. That’s driven by advertising because they don’t want you to think about anything other than what is on right now. I’ve done a lot of interviews with people and mostly they mesh and when they don’t mesh you can pretty much after a while see how they don’t mesh and see how people are trying to make themselves look better, or worse. 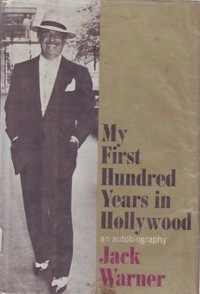 The one example that always stuns me is that when Jack Warner wrote his autobiography My First Hundred Years in Hollywood (1965), he left out his first wife, his son, and his brothers. I still have all the materials upstairs. My bookshelves have more than 10,000 books and about that many DVDs. I’m sort of astounded with what I’ve got. I guess now I am an archive, too. As people that you’ve talked to have passed away, has their material been archived anywhere? The only case in which I know this is true is the British director Terence Fisher. He worked for Hammer as a director. He did most of the Hammer horror movies. I went to his house; he had died by this point but his widow was still there – she’s now gone, too. She was eccentric and just suddenly in the middle of the interview, she just got up, went upstairs, and came back with an enormous cardboard box containing every picture that he’d ever taken on set. I was writing a book about Fisher which came out, called The Charm of Evil. And she just handed me the box and said, ‘Take these.” When I was through with them, I called her up and said, ‘Do you want them back?’ and she said ‘God, no! Take them away.’ I gave them to the BFI. 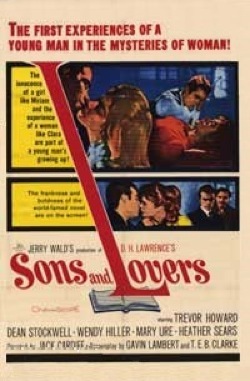 I’ve always loved Terence Fisher’s films; for example, in the days of 16mm and 35mm occasionally a print of a Fisher film would cross my threshold, in fact including some lost films that the BFI didn’t own. At one point there was a film called Stolen Assignment and I found the only copy of it that I’ve ever seen available in 16mm, and I just called them up and donated it. I want to see these things available. That’s because the studios were collapsing during that era. During the 30s and 40s they were very strong, and also people kept lots of scrapbooks, and the printed word was king. 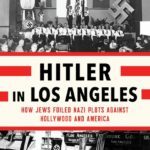 One of the great things also is that Rudy Behlmer, who was another historian, wrote a book called Inside Warner Bros. Warner Brothers had said ‘Put it in writing; use written communication to avoid miscommunication and confusion.’ So there is a huge archive there and not a lot of that is still available. Have any of the studios been exemplary or made some effort? Has there even been that consciousness? Well, the studios are hanging onto their archives but I think they are afraid of two things. They’re afraid of legal repercussions; they are also afraid of tell-all books. Obviously, I don’t do tell-all books but there are writers who shall remain nameless who just do hatchet jobs. The studios do have very good archives. The Disney archive, for example, is fantastic. 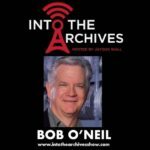 And they opened up the Disney archives to Neal Gabler who wrote the definitive book on Winchell [Winchell: Gossip, Power, and the Culture of Celebrity, 1995] and also wrote a fantastic book on Disney [Walt Disney: The Triumph of the American Imagination, 2007]. Gabler’s book on Disney is a masterpiece because he really managed to be completely evenhanded: the good and the bad about Disney’s life. So there are a few studios that had the foresight to keep everything. 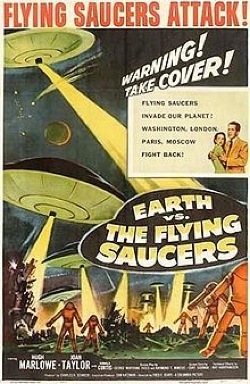 But then you look at Warner Brothers, for example, when television came in, Jack Warner made the incredibly shortsighted decision to sell off the entire back library of cartoons and features and all the rights pertaining thereto to a television syndication company called Associated Artist Productions. Eventually they came back to the fold through [Ted] Turner but that’s really shortsighted, whereas Disney always said ‘Well, they’re perennials; we can rerelease them every seven years. So I would say that most of the studios, no; but they are beginning to realize the value of it. And there is another issue and that’s that we have now moved to all-digital filmmaking. Ninety percent of all film is shot digitally. 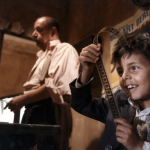 But I know for a fact – I can’t tell you the source of this, but it’s a fact – that all the studios now, even when the film is born digital, make a 35mm master fine grain of all the elements – all of the elements – and put it in the vault. That’s because they can no longer rely on the digital elements to be stable. They’ll need new platforms; and it’ll have to be migrated from platform to platform to platform. It’s really a very difficult thing. A couple of years ago there was an incident that scared the hell out of everybody – not me; I don’t really like the film – but they were rereleasing Toy Story and putting it on DVD and they found that the elements had become corrupted and only because some of the animators had taken home work prints were they able to patch it back together again. At that point they said, ‘Okay, this digital stuff is totally unstable, so we are going to have to have some kind of a backup.’ And the archivists at the various studios whom I cannot name basically told me that they now routinely strike film elements on everything, because that will last and the digital stuff won’t. DCPs (digital cinema packages) have to be unlocked; well, recently Brian De Palma tried to run his new movie, Passion, at the New York Film Festival and they couldn’t unlock the DCP; so, after an hour they just sent everybody home. That would never happen with a 35mm print. Digital is an inherently unstable medium and they know it. The other thing is that it costs $500 a year, roughly, to store a fine-grain 35mm negative of a film, but it costs $21,000 a year to store a digital master. It has to constantly be maintained because it’s electronic. So there you are: One is stable and one is not. As long as these documents are kept… The interesting thing is that it’s not so much the studios, it’s the individual people who were involved in the system who kept their own scrapbooks. That’s really an invaluable source, and then you find telegrams from people and things like that. I was doing an article on a director named the D. Ross Lederman who worked in the 40s and his daughter sent me all of his scrapbooks, and pasted in there were things like telegrams from people like [Darryl F.] Zanuck, and things like that. So there is material out there and you use it; but you have to track people down and that takes time and effort. But when you do track them down, they are very happy to cooperate. I’ve run into only one or two cases where someone didn’t want to talk. Those cases were very isolated. Do you have a sense of how much material is out there? Do you find that the more you look, the more you find? Yeah, absolutely. The more you look, the more you find. Absolutely. When somebody tells me that something is lost these days, I think, ‘Yeah, maybe.’ But if it passed through a lot of hands, there is a good chance that people involved kept records. For example, for Lost in the 50s I did a long chapter on Fred F. Sears, the director, and I hired a researcher who was working down in Memphis, Tennessee, where Sears ran The Little Theater for a time. 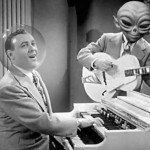 And he found tons of material on him, but Columbia, the studio he worked with in the 50s, had nothing. But then you go and find press books and they are very useful and they lead to other sources and they mention other people. So then you call the people up. You have to look for this stuff, because it’s not going to just come out for you. 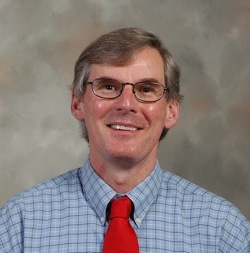 Wheeler Winston Dixon is James Ryan Endowed Professor of Film Studies and professor of English at the University of Nebraska, Lincoln; he is coeditor-in-chief of the Quarterly Review of Film and Video. His next book, Streaming: Movies, Media, and Instant Access, is due to appear in April 2013 from the University of Kentucky Press.The second edition of his and Gwendolyn Audrey Foster‘s A Short History of Film will appear in March 2013. His “Frame by Frame” blog is online and includes a posting on Death of the Moguls.